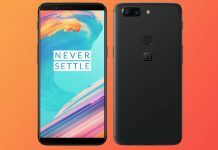 Home Reviews OnePlus 6 Review: Great On All Counts! 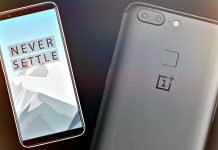 OnePlus has shaken up the high-end market by offering devices with the top specs but at a fraction of the cost of premium smartphones. 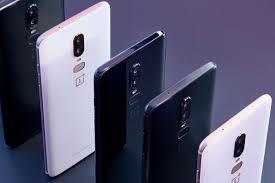 The Chinese company has now released the OnePlus 6, which was one of the most awaited devices of the year. Over the years, the company has managed to garner a fan following of millions. 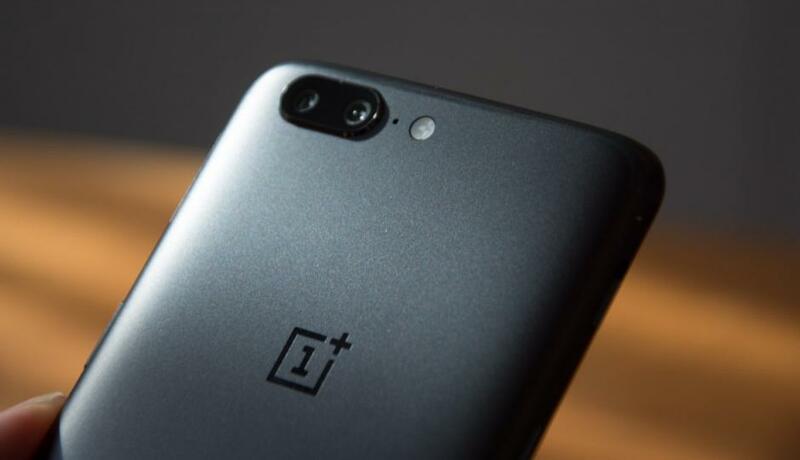 There were a lot of expectations attached to the OnePlus 6 but OnePlus has managed surprised everyone by the use of high-quality construction materials and an improvement in the photographic sector. This phone will surely rule the market for some time and give a tough time to high-end Android smartphones. Read on to find out more about the device in our OnePlus review. Inside the box of the OnePlus 6, you will find the Dash Charge charger that can charge the battery in around an hour. Apart from that, you get a red USB / Type C cable for data exchange and charging. You will also get a TPU cover that looks slightly smoked. The company has put top-notch hardware on the phone. The basic version is powered by the Mobile Platform Qualcomm Snapdragon 845 SoC. It has 6 GB of LPDDR4X RAM. It has 64 GB of internal storage UFS 2.1. The other two models have 8 GB of RAM and 128/256 GB of internal memory. The fingerprint scanner has been put at the back of the phone. It is fast and responsive but one turn off is the vibration that sounds a little superficial and cheap. 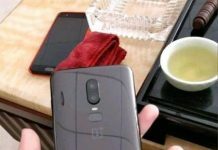 Other sensors that we find on the OnePlus 6 are the gyroscope, the accelerometer, the brightness sensor, the magnetometer, and the pressure sensor. Unfortunately, the phone doesn’t support wireless charging. The connectivity of the phone is also great. It has WiFi ac, NFC, and GPS, Bluetooth 5.0, and LTE data exchange of Cat. 16. Unfortunately, the infrared port and FM radio are missing. The USB Type-C port is of type 2.0, so it doesn’t support video output. The performance of the OnePlus 6 is great. 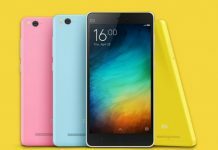 It is a really fast smartphone. It is reactive and responsive in all circumstances. The performance remains efficient even when the phone is under a lot of stress and during long gaming sessions. The impeccable performance of the OnePlus 6 is the best part of the phone. The excellent performance puts it in line with some of the best phones in the market. It is a dual sim smartphone and the memory is not expandable. The integrated modem does a great job of data traffic management. The signal reception is good even in places with poor coverage. However, it is less effective in changing the carrier and maintaining a fast-moving signal, in the train and the car for instance. The GPS navigation also works well and there are no hitches in the Bluetooth or the WiFi connection either. Measuring 155.7 x 75.4 x 7.8 mm, the phone is pretty large and not very convenient to use. The phone is really wide and so it is really hard to use the phone with one hand. However, the cover in the TPU not only improves the grip but also protects the stunning and the fragile glass body of the phone from shocks. The phone looks beautiful, largely because of the mirrored glass back cover with contorted reflections. The black cover is just like ceramic. The front design is also sleek and the screen is optimized on all edges. The frames are very thin and there is a notch in the upper part. The phone weighs 177 grams and that enhances the high-quality feel of the device. Basically, the phone looks premium and it is largely because of the flawless build quality and pleasing aesthetic. Unfortunately, OnePlus 6 is not IP certified against dust and water. However, the company has still made the phone water resistant so don’t worry if it gets splashed by mistake. 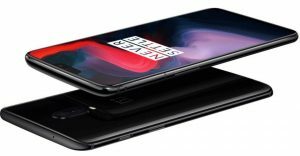 The display of OnePlus 6 is a 6.28-inch Optic Amoled with FullHD + resolution, with an aspect ratio of 19: 9. And of course, the notch is also there. 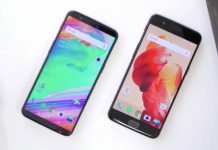 The screen is similar to that of the phone’s predecessor, the OnePlus 5T. But, it is better in terms of readability and brightness. The colors of the phone are well calibrated. The DCI-P3 spectrum coverage is very bright, almost complete, and satisfactory in all circumstances. However, there is a little loss of contrast outdoors, under the sun. The light reflections create a slight obscurity in the details between the OLED panel and the glass. However, the difference is hardly noticeable. Some users may prefer the manual adjustment of brightness, as the lighting can be very strong when the automatic adjustment is turned on. 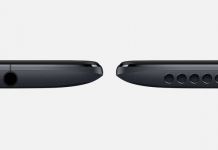 The OnePlus 6 also has a 3.5 mm audio jack. However, the stereo output from the speakers is missing. The mono speakers are situated at the bottom. The sound appears to be croaking when the volume is cranked up too high. The sound quality from headphone is good. The equalization can be finely adjusted from the dedicated settings. 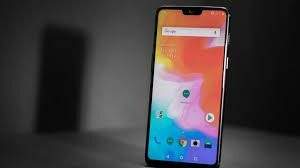 The photographic sector of the OnePlus 6 is similar to that of the predecessor. However, the main sensor has been improved greatly. This lets it produce results comparable to those of the Huawei P20 Pro and Samsung Galaxy S9. There is a dual camera setup on the back of the OnePlus 6. The first one is a 16MP Sony IMX 519 camera with .22-micrometer pixels. It has an optically stabilized aperture of F / 1.7 and a standard focal length lens. The second one is a 20MP Sony IMX 376K sensor with a non-stabilized aperture of F / 1.7. This sensor detects the depth of field data in pictures simulated bokeh effect. On the front, there is a 16MP Sony IMX 371 sensor with an aperture of F / 2.0 optic. It does not have autofocus. The second sensor is almost useless for the purpose of photographic quality. It also doesn’t really help to create an impressive simulated bokeh effect. A single camera would have been enough to recreate the effect safely. However, the quality of the pictures is great. It is a remarkable upgrade from the previous generation in terms of quality both in well lit and dimly lit environments. In terms of detail, OnePlus 6 is really convincing. The white balance and the accuracy of focus and exposure are on point. That’s why this phone can give a hard competition to top smartphones. One of the reasons behind the great shots os the optical stabilization of the main camera. The selfies are comparable to those of the OnePlus 5T. Even though the camera hasn’t changed a lot, the results are excellent. Similarly, the videos are really good. You can shoot up to 4K at 60 fps with the phone. You can also shoot slow-mo videos p to 480 fps in HD and 240 fps in FullHD. However, the maximum clip length would be 5 minutes in 4K at 60 fps, but it can be increased to 10 minutes if the framerate is set at 30fps. OnePlus 6 packs a 3300 mAh battery. This means you can easily use the phone till the evening. However, the yield is not all that convincing. In fact, compared to the OnePlus 5T, the values of the active display on a day of average use actually fell a little. You roughly get 5 hours of active display in a day. This drop becomes noticeable when you are outdoors and increase the screen brightness for readability. 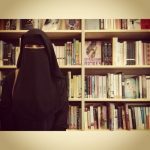 It can also be because of the way that resources are managed, which always aims to prioritize the performance. The OnePlus 6 runs the Oxygen OS based on Android 8.1 Oreo. The characteristic customization of OnePlus smartphones is also there. Compared to stock Android, there aren’t a lot of changes, The changes are mainly focused on providing features and small details to improve the user experience. Special emphasis has also been placed on speed. Apps open almost instantly. The phone also has a Gaming Mode. It serves the purpose of enhancing your gaming experience and preventing interruptions while you are playing a game. It lowers the brightness to prevent eye strain. You can also apply the dark theme and select the main color of the graphic elements. Several gestures are also there to help you control the phone when the screen is off. You can easily navigate the system using gestures. They are really effective and work well. There is an option to exclude the notch and leaving the upper portion completely black to serve as a second display for the status bar. The notifications have also been managed well. However, there are some compromises because of the notch due to free space. For instance, you can’t see the percentage of the remaining charge alongside the battery and there are only 3 icons that correspond to notifications. 3 points are added to them to signal the presence of other notifications but you will only be able to view them after expanding the notification bar. Somehow, there isn’t any gesture for the impression sensor or for answering the phone. OnePlus 6 also gave a face recognition system that is really fast and accurate. It is similar to that seen on the 5T but performs better in low light conditions. The combination of the fingerprint scanner and the face recognition system is great and gives you a system that performs well in all conditions. 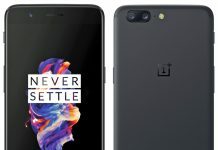 The 6/64 GB variant of the OnePlus 6 starts at 519 euros. The 8/128 GB variant is retailing for 559 euros. The 8/256 GB variant sells for 619 euros. 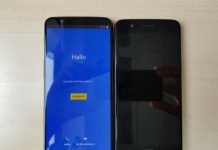 OnePlus 6 is a huge improvement over the OnePlus 5T. The quality of the construction is great and so is the photographic sector. Apart from that, the phone performs really well in most conditions. 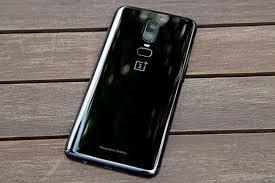 If you are looking for an affordable phone with great hardware, camera, impeccable build quality that provides a remarkable user experience, without any compromises on software, autonomy, and audio, then OnePlus 6 is the phone for you. What do you think about the OnePlus 6? Let us know in the comments below! 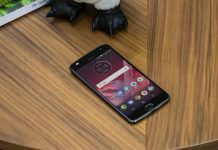 OnePlus Has Been Accused Of Stealing User Data!